Would You PLEASE Grow Up?. 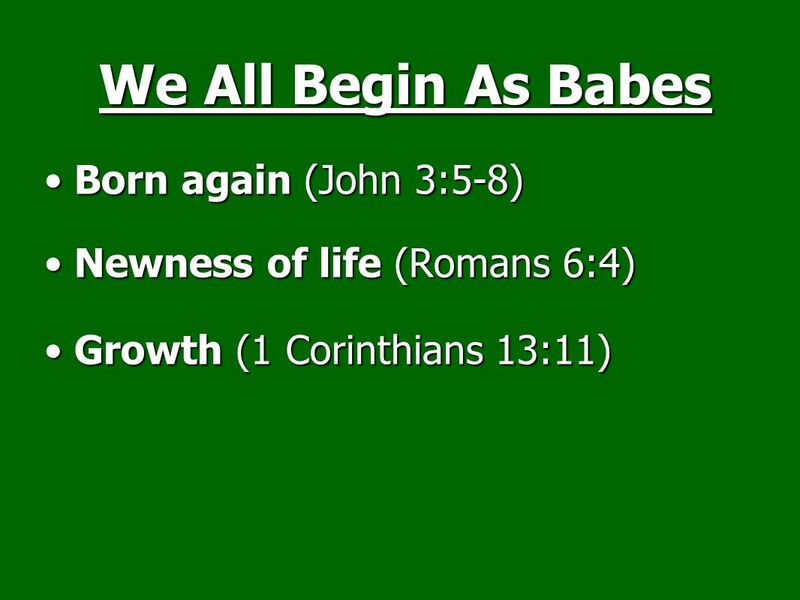 Born again (John 3:5-8)Born again (John 3:5-8) Newness of life (Romans 6:4)Newness of life (Romans 6:4) Growth (1 Corinthians. 1 Would You PLEASE Grow Up? 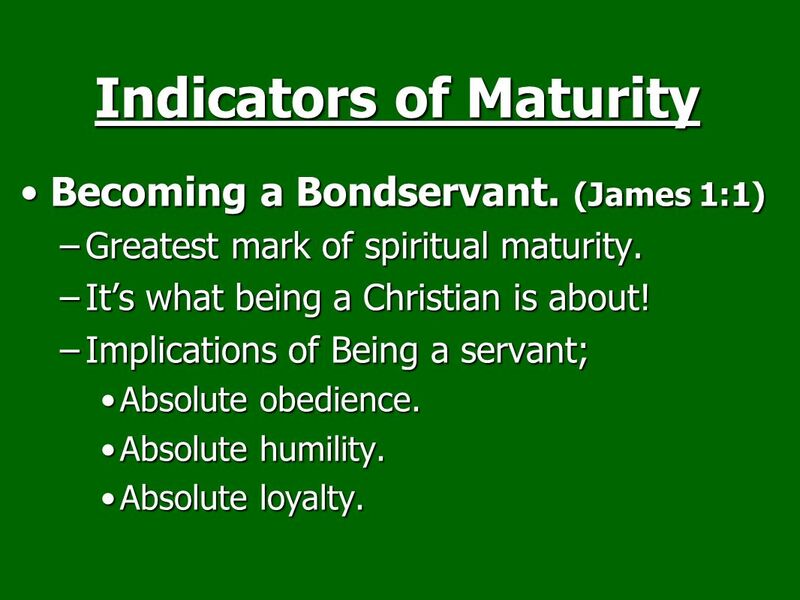 8 -Are You Spiritually Mature for Your Ability? 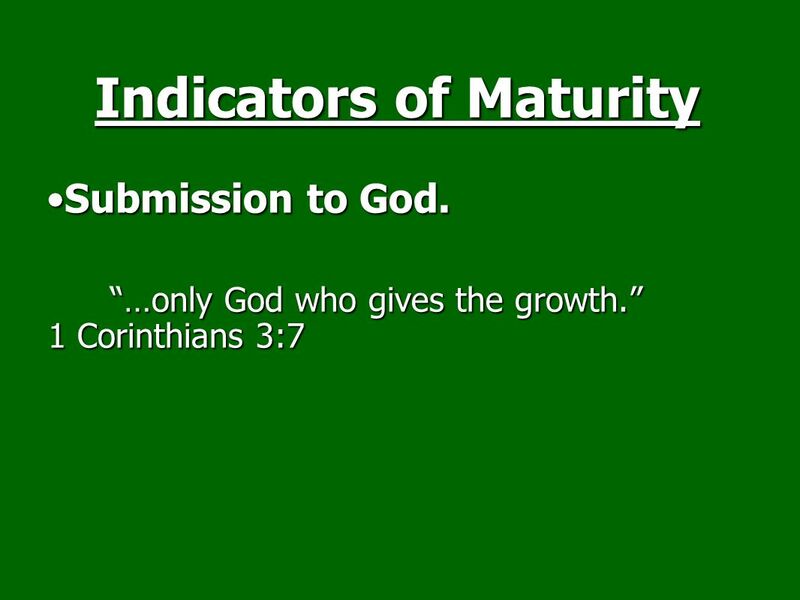 -What Would God Say About Your Spiritual Maturity? 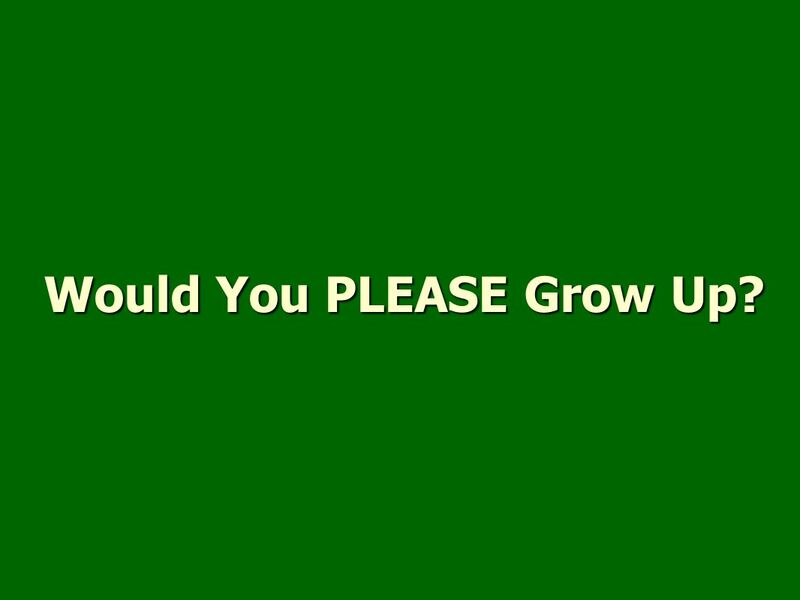 Download ppt "Would You PLEASE Grow Up?. Born again (John 3:5-8)Born again (John 3:5-8) Newness of life (Romans 6:4)Newness of life (Romans 6:4) Growth (1 Corinthians." Matt. 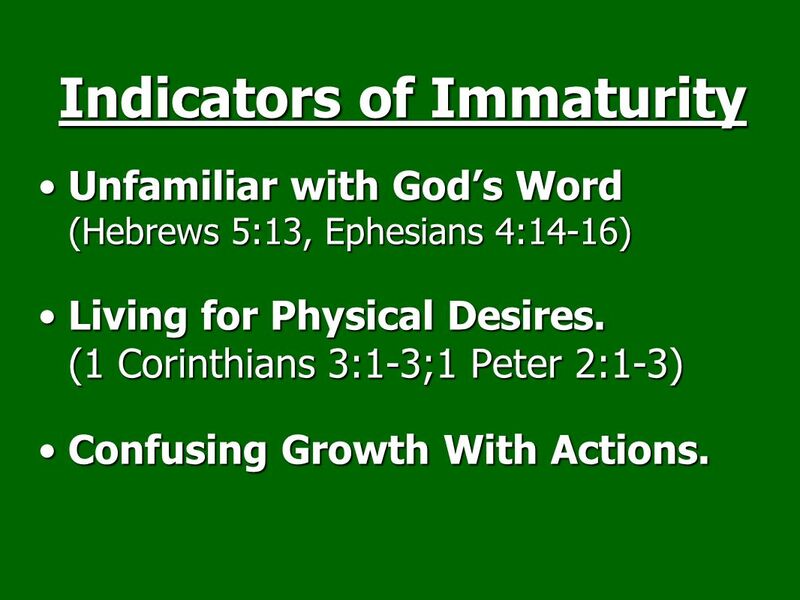 18: Disciples concerned who will be greatest - Caused by their misconception of the kingdom. Sylvan Hills church of Christ. Vision and Mission Statement. TO THIS YOU WERE CALLED 1 PETER 2:21. Jesus’ Mission Vision Every purpose conforms to the ultimate purpose in Ephesians 3:9-11 GLORIFY THE FATHER Purposes. We Proclaim Him Discipling One Another. First, some vocabulary Disciple: A person who has committed to following and becoming like Jesus Christ. (Mark. All Leaves And No Figs Matthew 21:18 – 22 Mark 11:12 – 14, 20 – 26 Jeremiah 8:13; Hosea 2:12; Amos 4:6. 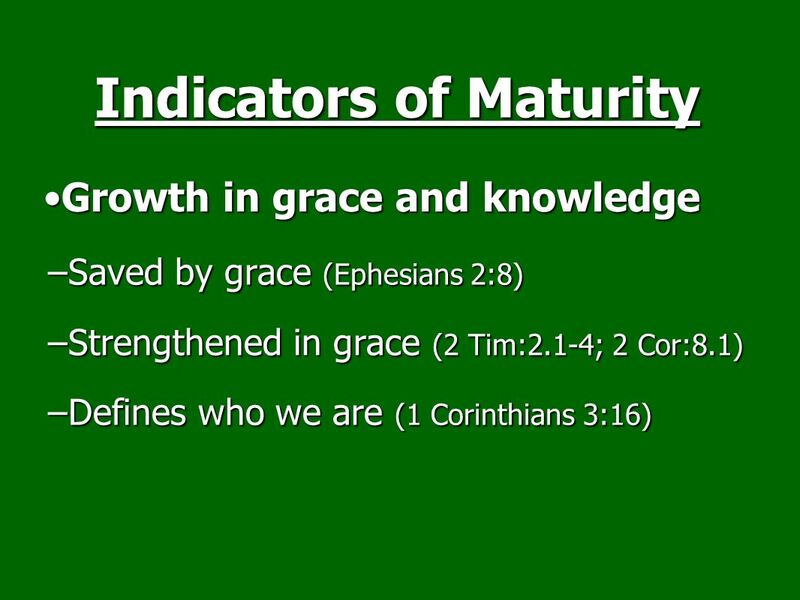 God’s Sustaining Grace God’s sustaining grace is giving us what we need when we need it. II Peter 3: 17 “be on your guard so that you may not be carried away...” What Kind of Knowledge. Salvation Ephesians 2:4-7. God Saves Acts 2:47; 2Timothy 1:8-10 Love John 3:16; 1John 4:16-19 Mercy Titus 3:4-6; 1Peter 1:3 Grace Acts 15:11; Ephesians.